“After nearly 9 years,” President Obama told the nation in October, “America’s war in Iraq will be over.” If that’s true, then why will Congress not officially end the war? The Senate overwhelming rejected last week Senator Rand Paul’s Amendment to the National Defense Authorization Act that would have revoked Congress’s 2002 authorization to use military force in Iraq. Only 30 senators voted for the Amendment, including just four Republicans–Rand Paul, South Carolina’s Jim Demitt, Olympia Snowe of Maine, and Senator Dean Heller of Nevada who assumed office in May of this year. So-called Constitutionalist Tea Party Republicans Marco Rubio and Mike Lee both opposed the amendment (along with the Democrat leadership). 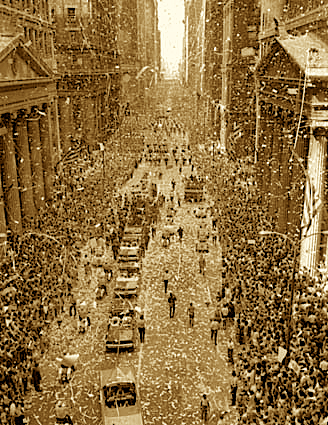 When wars were over, we used to end the war, bring the troops home, and give them a ticker-tape parade. Now Congress is too scared to end the war because that would deprive the U.S. the unconditional right to re-invade Iraq at any point in the future without the need for a floor vote, which could be politically damaging. For this same reason, the Senate just overwhelming approved an amendment that expanded the battlefield of the war on terror to wherever any accused terrorist inhabits, including the United States. The amendment sponsored by Arizona’s John McCain (the Republican alternative to Obama in the last election) and Michigan’s Carl Levine mandates indefinite military detention for any accused terrorist, and permits indefinite detention (without trial) for U.S. citizens. The amendment includes carefully crafted language that makes it appear as if U.S. citizens are not subject to the elimination of due-process: “The requirement to detain a person in military custody under this section does not extend to citizens of the United States.” But this provision only means that the Justice Department is not required to turn U.S. citizens over to the military while still permitting it. The misleading language is perpetuated by lies by the amendments proponents. Senator Lindsay Graham has said, “The idea that an American citizen helping al Qaeda doesn’t get due process is just a lie.” Really? “If you’re an American citizen and you betray your country… you’re not going to be given a lawyer if our national security interests dictate that you not be given a lawyer and go into the criminal justice system.” Who said that? Oh yeah, Senator Lindsay Graham. As a result of this bill, no longer will the Senate or House ever need to vote on the use of military force. The bill authorizes the president to use military force against any terrorist (as defined by the president), anywhere in the world, or anyone who supports terrorism anywhere in the world. It’s almost impossible to see this as being anything but a universal declaration of war. It no doubt will be seen that way in the Middle East.